This is the first blog post I’ve written straight into the chute without a little polishing. I’m frazzled. I’m moving. I’m selling a house I lived in for almost 2 decades, a house I had a wonderful family life in. I’ve been packing up and purging and sorting for months now. And now it’s almost show time. 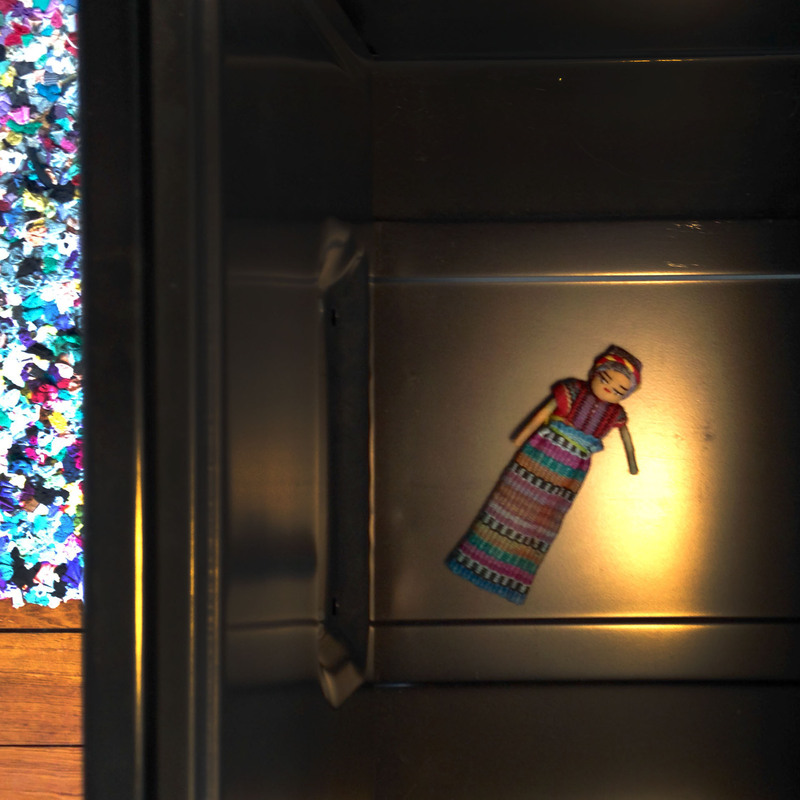 A few weeks ago at Rohs Street, I wrote a fast write about finding dolls in drawers, because that is a thing that keeps happening. But because I’m moving and packing and purging, I have no idea where that fast write is. I think there was a good line or two in there, about opening drawers and feeling eyes upon me. Eyes of the past, unblinking, watching me forge ahead into the future. It’s hard enough to put all those precious crayoned drawings and lovingly made paintings into the recycling bin (but I did it. Okay: I saved a few. A few hundred…). But the dolls: the dolls are watching me. The dolls make me remember the sound of laughter drifting in from A’s room, where she and her sister and a couple friends were lining up the dolls into a parade. The dolls make me wish I could somehow package up a few boxes of the past to dive into whenever I feel lonely for my girls. The past is always with me, in me, part of me. Still, the dolls seem reproachful. Doesn’t she look a little pissed off to you? I guess change is always hard. The doll and I will both be okay. We won’t be alone, either. She’s coming with me. This entry was posted on February 27, 2015, 10:49 pm and is filed under musings, photography. You can follow any responses to this entry through RSS 2.0. You can leave a response, or trackback from your own site.